Open the crescent rolls and separate into individual triangles. Place one crescent triangle in each of the individual muffin cups. Press the dough into the cup. In a medium-sized bowl, beat together the eggs, onions, crumbled bacon, spinach, cream cheese, sour cream, salt and pepper and nutmeg. 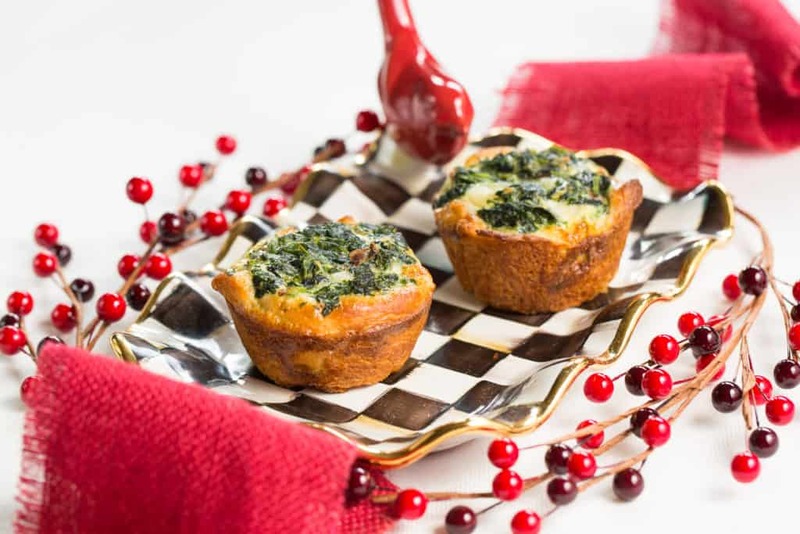 Stir in the cheese and then pour the egg mixture equally into each muffin cup.